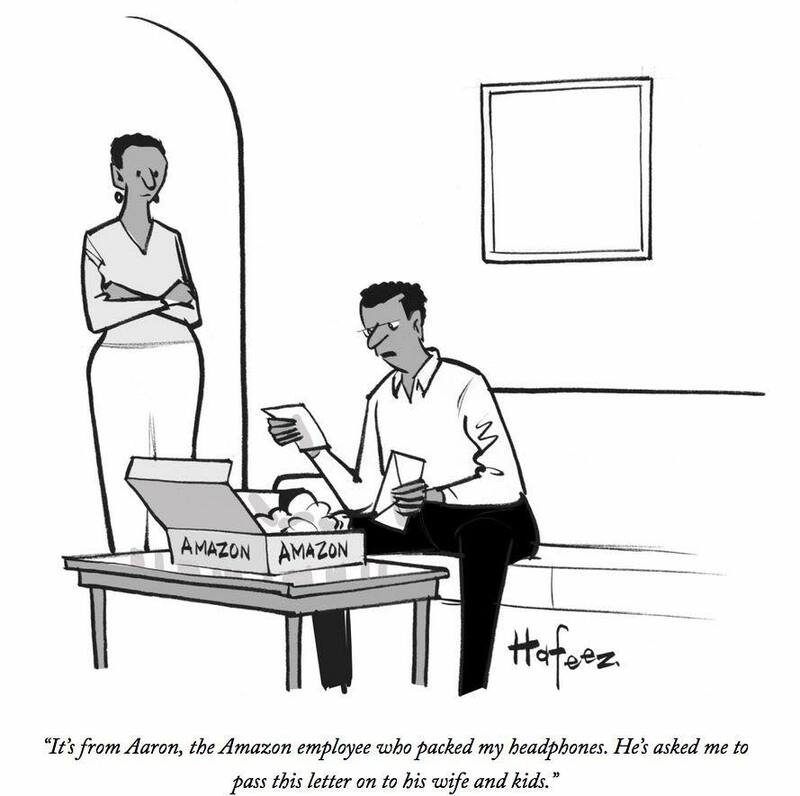 You know the cartoon is funny, unless you work for Amazon or a similar employer. Or unless you think JEB BUSH or RAND PAUL will be or should be the president. Bush argued that to achieve greater productivity (annual growth rate), “people need to work longer hours and through their productivity gain more income for their families. He ignored the facts that: (1) the average full-time employee is working 47 hours per week; (2) the number of part-time workers in the US has been increasing over the last two decades — but not because people want to stay home and watch re-runs of “Friends.” Many corporations choose this to avoid paying benefits — for which part-time employees may not be eligible; and (3) most Republicans in Congress have opposed raising the minimum wage to the level of a “living wage,” which may explain why they can’t buy more and stimulate economic growth. As you might expect, Rand Paul has a similar view that individuals need to do more on their own, must work harder. Paul dismissed the idea that social conditions and economic policy, plus corporate salary policies, cause or even contribute to the growing income inequality in the U.S. As a result, Paul sees a simple solution to income inequality. He said, “The thing is, income inequality is due to some people working harder and selling more things. If people voluntarily buy more of your stuff, you’ll have more money.” To me, this is sort of a garage sale approach to economic policy. And by the way, BOTH OF THESE GUYS IGNORE PAY INEQUITIES EXPERIENCED BY WOMEN. “…Jeb Bush says that the retirement age should be pushed back to “68 or 70”. Scott Walker has echoed that position. Marco Rubio wants both to raise the retirement age and to cut benefits for higher-income seniors. Rand Paul wants to raise the retirement age to 70 and means-test benefits. Ted Cruz wants to revive the Bush privatization plan.” Krugman, P (2015, August 17). “Republicans Against Retirement,” New York Times. Say “good night, Gracie,” and wave bye-bye to retirement. Work harder and longer now and until you drop. Immigration in the Polls-Are We Really that Horrible and Mean-Spirited? Not so much, really.